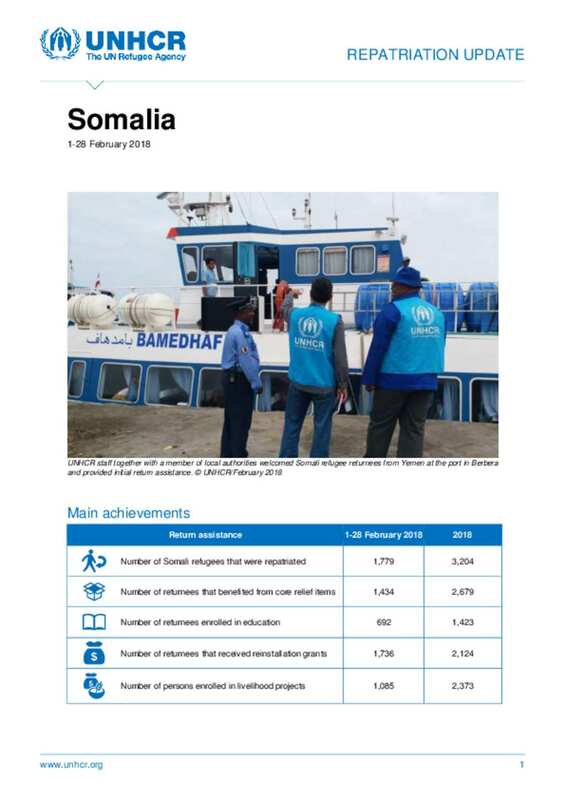 Since 8 December 2014, beginning with a pilot return activity that later expanded, UNHCR has assisted Somali refugees returning to Somalia with return and reintegration assistance. Somali refugee returnees who opt for voluntary repatriation under the UNHCR programme receive an enhanced return package1 to support their reintegration and to ensure the sustainability of returns. In the chapters below are achievements made during the month of February.